Individuals who require a guardianship are vulnerable elements of society. Older adults, who have done well their entire lives, but are no longer able to take care of themselves. The intellectually disabled or developmentally disabled. The mentally ill. Injury victims. Each has a life story, and their cases are to be treated with extreme sensitivity and care. New York guardianship lawyer Albert Goodwin, Esq. will be indispensable when navigating the process. To establish a guardianship in the State of New York, a person needs to file a petition and other documents in the appropriate court in the county where the alleged incapacitated person lives. After the petition is filed and everyone involved is formally notified, there will be a court hearing, where the judge will decide what the next steps are going to be. The more complicated or contested the guardianship, the more hearings there will be. For an easy uncontested proceeding, one hearing is usually sufficient. There are two major types of New York State guardianships. Guardianships under Article 81 of the Mental Health Law (“MHL Article 81”) and Guardianships under Article 17-A of the Surrogate Court Procedure Act (“SCPA Article 17-A”). Although some individuals can qualify for both types, it is clear in most cases which one fits best. SCPA Article 17-A Guardianship – Article 17-A guardianships are mostly thought by parents of special needs or developmentally disabled children who are about to turn 18. Those parents use guardianship as a tool to extend their care and control after the disabled person reaches the age of majority. A SCPA 17-A is granted by the Surrogate’s Court. It can include a guardianship of the person, property, or both. A 17-A guardian is authorized to make healthcare decisions. Typically, the assets of a 17-A ward are held by the clerk of the Surrogate’s Court, unless the court fixes a bond. The guardian will be required to deposit all of the ward’s funds into the account held jointly with the court, and will need an endorsement of the surrogate clerk on every check made out of that account. MHL Article 81 Guardianship – Guardianships for the elderly and victims of trauma are mostly obtained through MHL Article 81 proceedings. Article 81 is sometimes also used for the mentally ill and developmentally disabled. There may come a time when an elderly loved one can no longer manage their own affairs such as paying bills, banking, managing investments and taking care of their day-to-day living needs. If your relative has been diagnosed with a serious illness, has suffered a stroke, is disabled or has dementia or Alzheimer’s and is showing signs of memory loss, confusion and forgetfulness, it may be time to establish a guardianship for your relative. Since the New York laws are complex, the expertise of a New York guardianship attorney is required. 17-A vs. Article 81: SCPA Article 17-A only authorizes a guardian for an individual who is special needs or developmentally disabled. MHL Article 81 does not have that limitation, and so can be applied to any individual who admits to being incapacitated or is determined by the court to be incapacitated. On the flip side, MHL Article 81 guardianships are often less powerful, giving guardians only the powers that are absolutely necessary for the ward’s needs. Common Elements of 17A and Article 81: In both types of guardianships, the guardian has a duty to look out for the best interest of the ward. Where the guardianship is of the property, the guardian must submit reports to the court at regular intervals. The Petitioner’s guardianship lawyer files the petition to the court and represents the person who filed it. Guardianship petitions are usually filed by concerned relatives or the nursing home or long-term care facility where the person in question resides. Their lawyer advances their view or position that a certain guardian should be appointed. If you are planning to file a guardianship petition and need a lawyer, Albert Goodwin, Esq. has more than a decade of experience in guardianships. He can be reached at (212) 233-1233. Guardianship lawyers perform many important functions. In most proceedings, at least four lawyers are involved, if you court the judge, sometimes many more. These attorneys ensure that cases function smoothly and the rights of everyone involved are protected. New York law requires that the guardian be at least 18 years of age or older and also a legal resident or U.S. citizens. Typically, a guardian of an elderly person is usually an immediate adult family member such as a son, daughter, grandchild, niece, nephew or sibling. 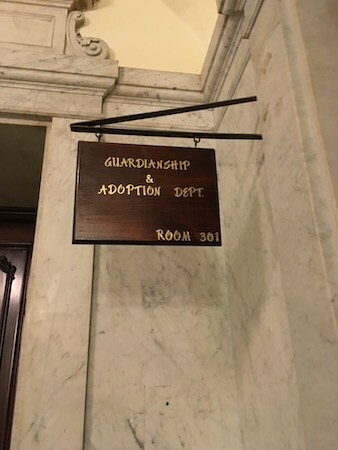 However, New York courts also have the jurisdiction to appoint a qualified non-related person to act as guardian where there is no immediately family member available. This person is usually an attorney, selected from a list maintained by the court. A guardian can be appointed as both the guardian of the person and the property or there can be two separate guardians appointed, one as guardian of the person, and one as guardian of the property. For instance, a son or daughter may be appointed as guardian of the person, but a financial advisor such as a CPA or accountant or legal advisor such as a lawyer may be appointed guardian of the property. If the incapacitated person’s relatives have a disagreement over who should be appointed guardian, then the court will appoint a neutral non-relative guardian. The guardian of the person takes care of the person’s living needs, such as grooming, bathing, meals, house cleaning, grocery shopping and healthcare needs, including medical, dental and nursing, transportation and any other personal day-to-day needs. The guardian of the property takes care of paying bills, banking, property management, collecting rents, managing the person’s business and financial accounts, filing income tax returns, obtaining government benefits such as social security, VA, Medicaid, SSI or Medicare and any other government benefits. Here is more about responsibilities of a guardian. Determining when to establish a guardianship is a family decision. The legalities and requirements of establishing one should be discussed with an experienced New York attorney. The attorney can prepare and file the required documents with the court and attend court hearings as well as assist with any tax matters. If you wish to speak to a New York guardianship attorney with over 10 years of experience representing clients in Manhattan, Brooklyn, Bronx, Queens, Staten Island, Suffolk County, Nassau County and Westchester County, call Albert Goodwin, Esq. at (212) 233-1233.
by Michele Hines on New York City Estate Lawyer Albert Goodwin, Esq. Albert Goodwin, Esq. 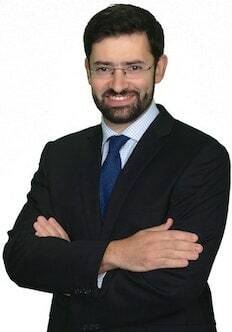 is a great lawyer, helped me every step of the way. How Can I Tell if it is Time to Start a Guardianship for an Elderly Person? How Much Are New York City Guardian Commissions? What Are the Types of Guardianships in New York? At What Age Does a New York Guardianship End?